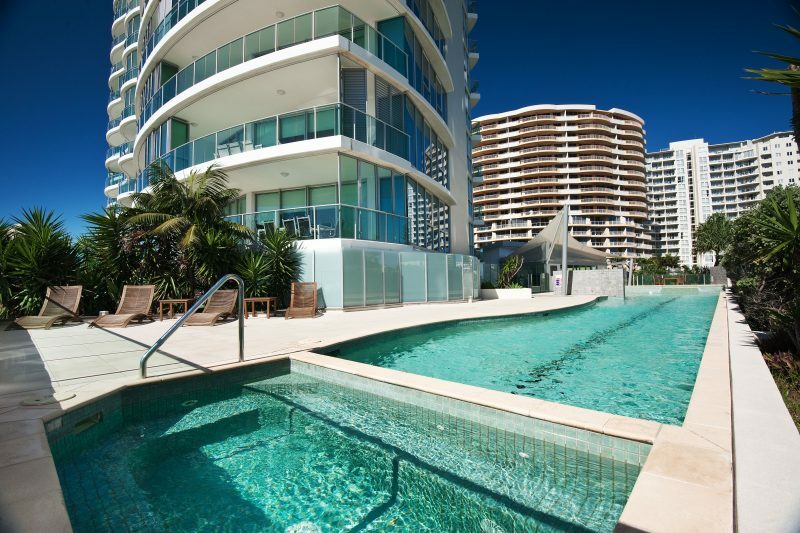 Experience the difference with Reflections Coolangatta Beach, a luxurious resort rising above Greenmount Beach. Reflections offers guests the choice of one, two and three bedroom apartments with large balconies and panoramic beach or ocean views. Each apartment is spacious and has been beautifully furnished. 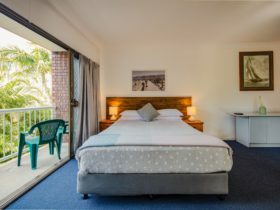 It is the perfect location for a relaxing beachside escape. 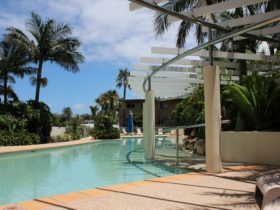 Guests can enjoy the stylish facilities including a heated lap pool and spa, gymnasium, steam room, sauna, theatrette and Teppanyaki grill. Free WiFi and secure undercover car parking is available. 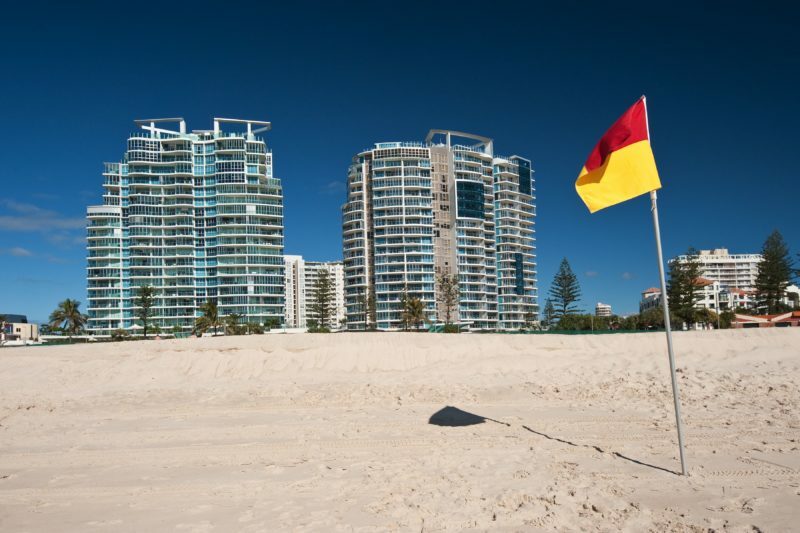 Not only will you find the pristine Coolangatta beaches and the Tweed Coast at your door step, you will also find that Reflections includes a variety of al fresco dining options and a retail precinct located on the ground floor. Spacious two bedroom, two bathroom apartment with luxury appointments and furnishings. Featuring a fully equipped kitchen with dishwasher and laundry with washing machine and dryer. 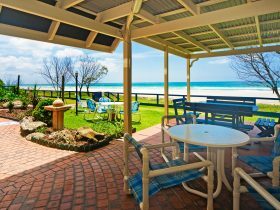 Located between levels two to five, enjoy north facing scenic beach views. Free wi-fi! Spacious three bedroom, two bathroom apartment with luxury appointments and furnishings. Featuring a fully equipped kitchen with dishwasher and laundry with washing machine and dryer. 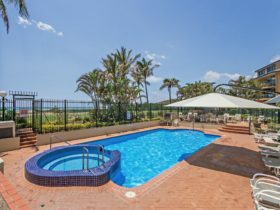 Located between levels three to six enjoy north facing scenic beach views. Free wi-fi! Bedding configuration is on request and subject to availability. Bedding is two queens and two singles or one queen and four single beds. Spacious one bedroom apartment with luxury appointments and furnishings. Featuring a fully equipped kitchen with dishwasher and laundry with washing machine and dryer. Enjoy scenic views of the ocean. Located on levels between seven to 19. 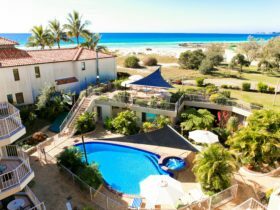 The best location in Coolangatta. Free wi-fi! Spacious two bedroom, two bathroom apartment with luxury appointments and furnishings. Featuring a fully equipped kitchen with dishwasher and laundry with washing machine and dryer. 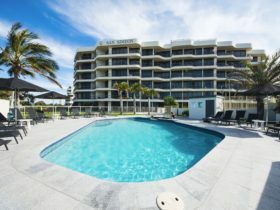 Enjoy panoramic scenic views of the ocean. Located on levels between seven to 19. Free wi-fi! Bedding is one queen and two singles or two queen beds. 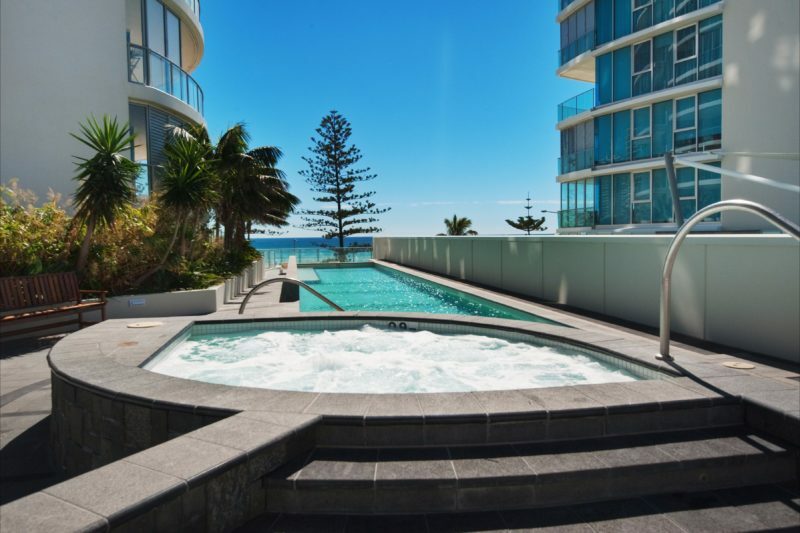 Stylish apartment design, luxury appointments and furnishings, your roomy three bedroom apartment exudes cool relaxation and scenic views of the ocean. Located on levels between seven to 18. Free wi-fi! Bedding configuration is on request and subject to availability. Bedding is two queens and two singles or one queen and four single beds.